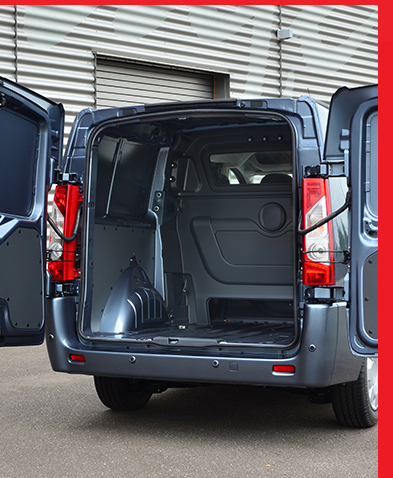 The crew van system allows existing vehicles to have a second row of three or four seats installed, accessible from existing side loading doors. The benefits of a crew van are considerable, bringing time and cost savings to a wide range of trades and other occupations that need to combine plenty of equipment or luggage space with the ability to carry up to seven people. need by being able to carry tradesmen and their materials. easily and comfortably transported with their equipment. leisure, efficiently serving their business and take their friends and family out in comfort. The crew van answers a growing need for a comfortable five, six or seven seat vehicle that is engineered to original equipment standards and retains a generous load area. Copyright 2004-2017 | No part of this information may be used without the written consent of Snoeks Automotive B.V.